One Hot Lap: OneHotLap Quiz: What's Wrong with This Picture? I can drift better without so much grip. Mechanic? Ain't nobody got time fo dat! 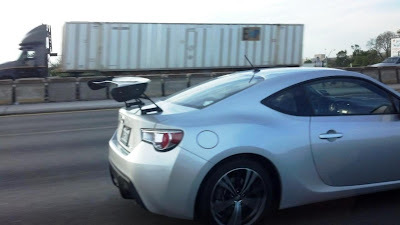 Install your own wing they said, it'll be easy they said! Sorry, the instructions were in Japanese. Phase one of my flying machine! Can you help him sort this wing situation out with some more ideas? Upside down and reversed? He must be looking for lift!